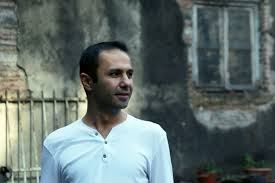 Uygar Şirin was born in 1972. He went to Galatasaray Highschool and graduated from the Department of Business Administration of Boğaziçi University. In 1994, he began writing movie reviews and essays on cinema for Antrakt magazine. He still writes for Sinema magazine. In 1996, he wrote a screenplay entitled Mixed Pizza together with Tamer Baran. Mother, Hold My Hand! (Anne, Tut Elimi!, 1997) is Şirin’s first novel. The novels , in 2006 Great Sea Rises (Büyük Deniz Yükseliyor) and in 2013 Mixtape (Karışık Kaset) were published.